It's here! 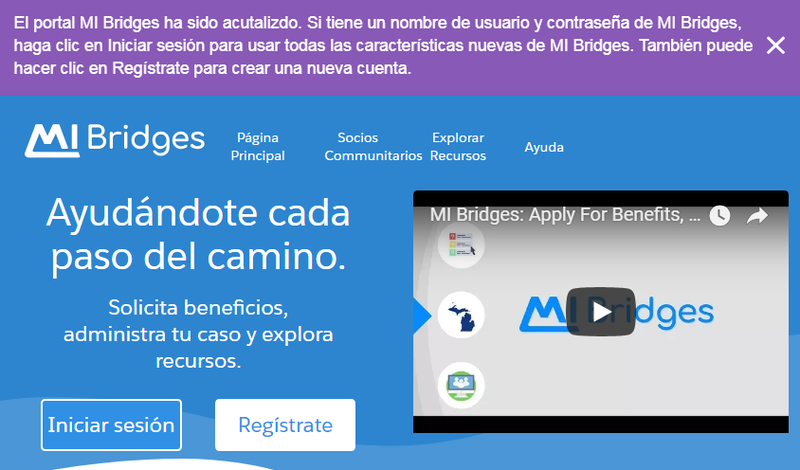 The new MIBridges website is an upgrade worth checking out. [You may want to bookmark michigan.gov/mibridges.] 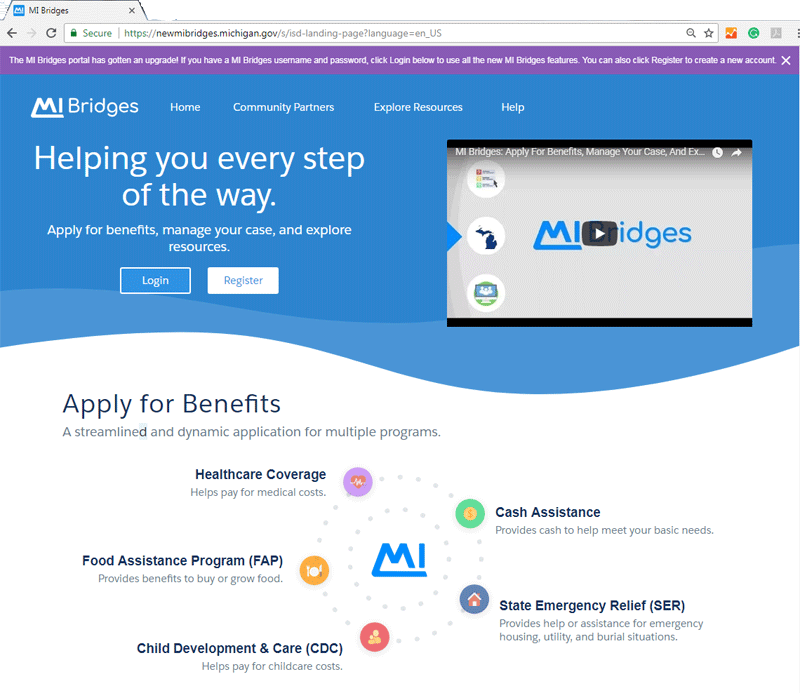 Although there are still a few bugs, if you are eligible for public benefits it is easier to apply and manage your benefits. MIBridges Is Now Smartphone Friendly! As you can see from the images in this blog post, the new MIBridges is easier on the eyes. The layout is more open and dynamic with pleasing colors. It is also very easy to use on a phone. Uploading documents is as easy as taking a photo! 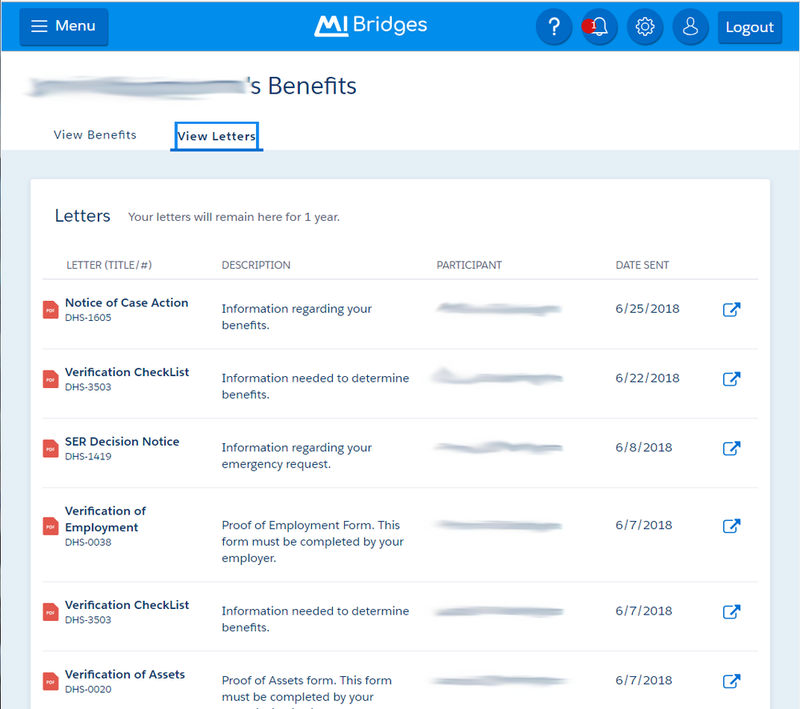 When MDHHS needs to verify information, you used to have to wait for a request from the caseworker to upload a document in the old MIBridges. Sometimes you would have to wait for a letter in the mail and then fax the information to MDHHS. Now there is a new and improved interface that makes uploading documents a breeze. (Although MDHHS states you can mail your verifications, WHP staff suggests that you NEVER mail anything to MDHHS. You have no proof that you turned in your documents. Upload or fax, that's the best.) Now you can upload documents using your smartphone, tablet or laptop anytime and it's easy! You don't have to wait for a request from the caseworker. Now hold onto your hat because after you have uploaded your documents, you can view your documents. No more uploading documents with no confirmation or way to check if the upload was successful. EASY and USEFUL. 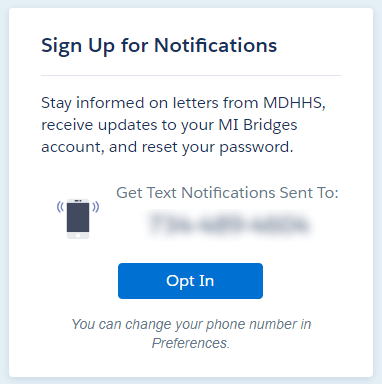 The previous MIBridges system allowed you to put in your phone number or email address and you were supposed to get a text or email when there was new information in your account. You also have this option with the New MIBridges, but it is easier to find the "opt-in" notification, and it works more consistently. 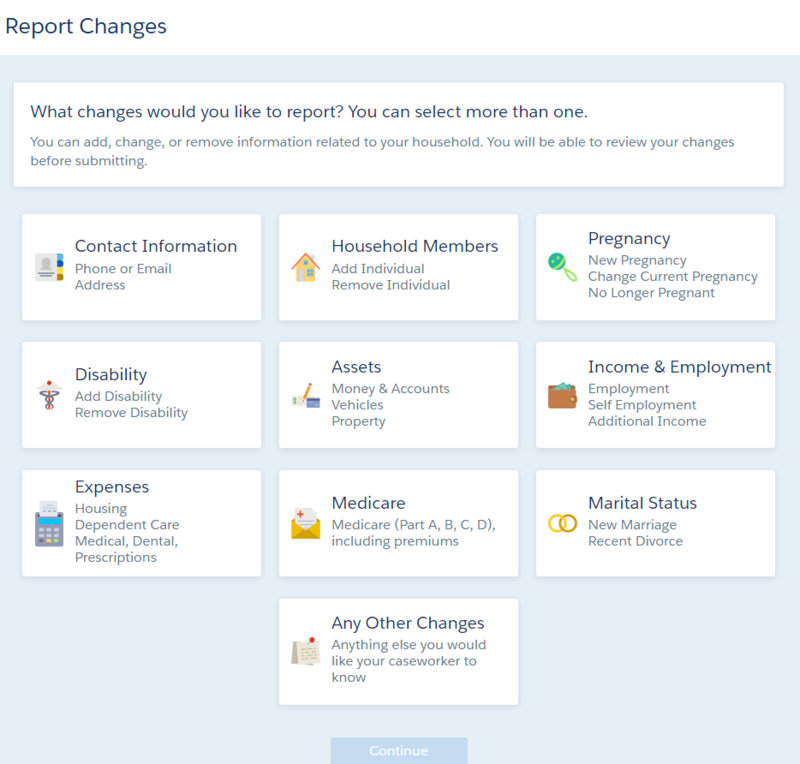 Now you can report changes quickly and easily. 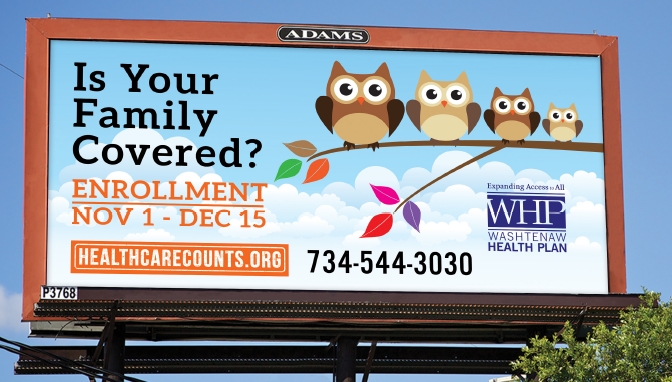 Reporting proof of a new baby, a new job or enrollment in Medicare only takes a few minutes. You report the change and upload the proof or verification in the same session. There is no waiting for the caseworker to request a document. If you know you need to provide proof of employment, pregnancy, change in income or any other changes, you can do it easily. When you create an account or register for an account, you create a user id and password with 3 security questions. MDHHS added another level of security, identity proofing. 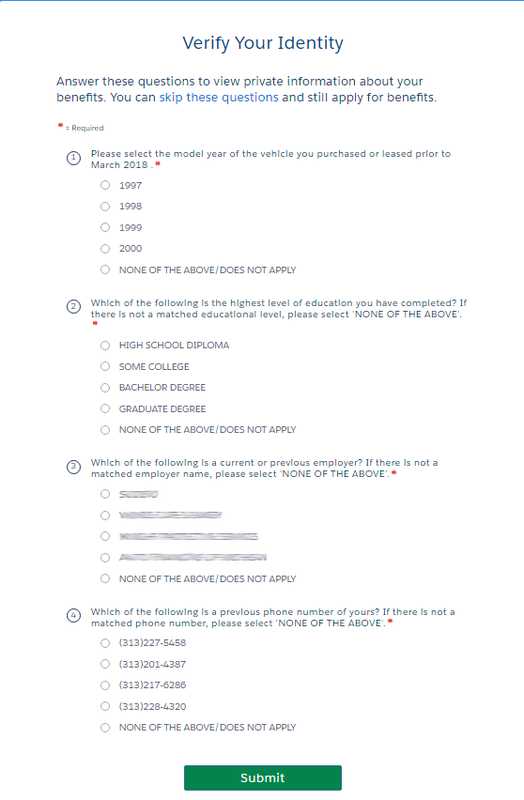 Questions to which only you know the answer are pulled from your credit report to which only you know the answer. This is a new level of security and will help to keep your information safe. Keep a record of your new account information because it can be tricky to reset your password. 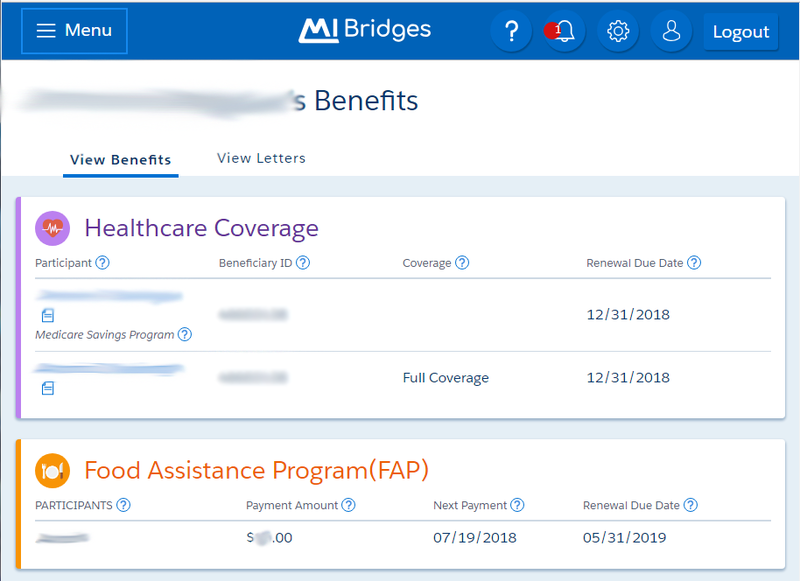 When you click My Benefits you can see all benefits for each member of your family. If you click on an individual, you will see their Medicaid Health Plan if they have one. At this writing, this feature does not work 100% of the time, but when it works, it works well. You can see all the letters you have received for the last year. In the old MIBridges, you could only see the last 60 days of letters. Letters are visible the day they are generated. If you are signed up for Notifications, you will be able to view your letter before it arrives in your mailbox. When you click on Case History, you can see change reports, applications and renewals that were submitted. This will help keep track of what you have submitted to DHHS. It also keeps a record of when you requested a benefit or address update. This is a handy feature! 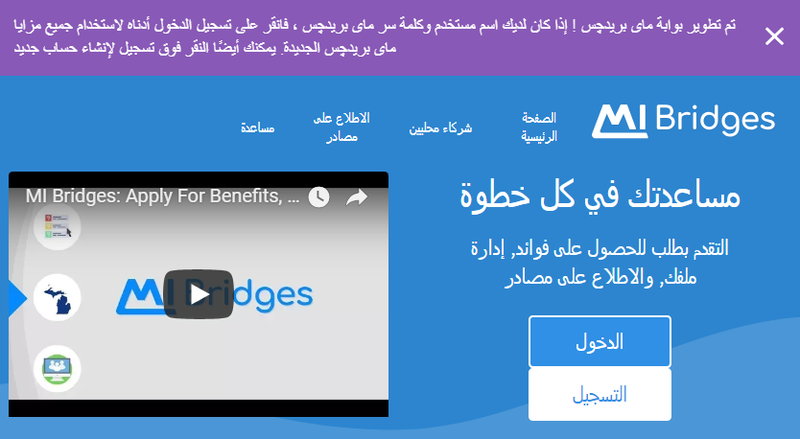 The new MIBridges is available in English, Spanish and Arabic!